Locators are rare. Only 11 people can access chambers throughout the world. The fourth-dimensional pockets themselves are a mystery. They can hold anything from both known and unknown worlds. With a locator's ability comes power. A power that hasn't escaped the notice of the Ceruleman race. They will stop at nothing to keep control of the chambers. Of the locators. Of her. Wendy doesn't mean to kill Dina, the energy therapy practitioner who recruited her to an allergy study. She's not even sure how it happened. How could something as silly as hand waving and hypnotism turn Wendy's skin from empathic to lethal? Better yet, how can she change it back? She has a brother to take care of; earning a little extra money was not supposed to ruin her life this way. Refusing to live forever in fear of physical contact, Wendy goes straight to the source: the company whose strange energy practices caused her dramatic transformation. Did they mean to make her a weapon? Or was it a mistake? She quickly learns that she is not alone; uncanny supernatural abilities are real. Gabe and Kaylen, whom she befriends at the bizarre camp of super-humans, suspect that Wendy was targeted for a specific reason, and it has nothing to do with her death touch. ©2013 Colorworld Books, Inc. (P)2018 Colorworld Books, Inc. I have never listened to such an interesting story. Rachel Kelly has written a great story and I look forward to the next book being released in audible. Also, Cherami and Todd were perfect as always!! They do wonderful voice work and I can’t wait to hear more of them! What did you love best about Colorworld? Love these voice actors! Love the story! Couldn't stop listening! Enter a world that's just a touch and a thought away. Can't wait for these two to do book two! Love this series already! This book was great, and very in-depth, with its ideologies and romance. Todd Haberkorn and Cherami Leigh did a great jon with this one! I am looking forward to the next ones! I am in love with this narration! The book is engaging and keeps the reader interested throughout. Although the main character, Wendy, has powers, she is a relatable character. This is book one of a series and I can't wait to get more involve in Wendy's world. The characters are very relateable. The setting is easy to identify with. This makes it incredibly easy to immerse yourself in the story. The initial fallout just after the Wendy's powers began to manifest and she wakes in a hospital bed. I almost did until other obligations got in the way. The audio work was phenomenal. Cherami Leigh and Todd Haberkorn did an exceptional job bringing their talents to this story. 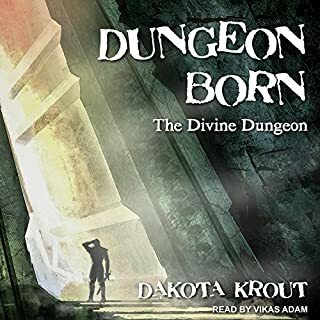 You would never guess this was Cherami's first audiobook. Great job you two! A beautiful story beautifully read by Cherami Leigh and Todd Haberkorn. Colorworld is an amazing and beautiful story, written by Rachel E. Kelly. 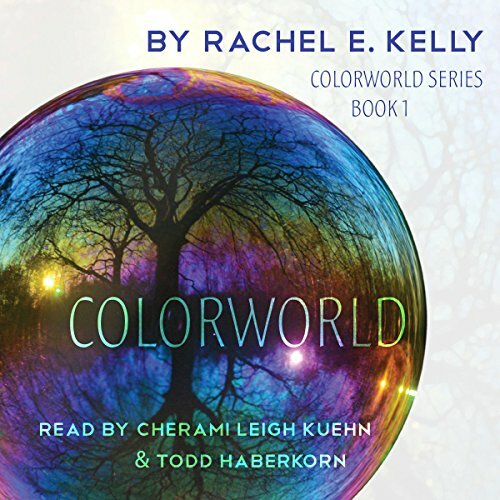 This review is for part 1 of the Colorworld series; specifically, the audiobook read by the incredibly talented Cherami Leigh and Todd Haberkorn. This review is spoiler-free, with the exception of character names and information from the synopsis. 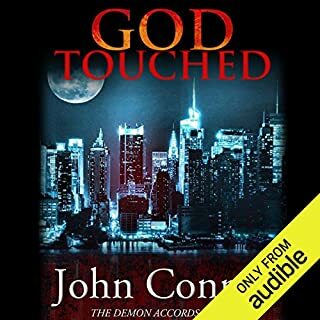 The audiobook tells the first part of the story of Wendy, a 19-year old college student with peculiar empathic powers that allow her to sense emotions through skin contact. She is struggling to support both herself and her younger brother, Ezra, and decides to participate in an allergy study to earn more cash. However, the study does not go as expected. She wakes up to find someone dead, and learns that it was her skin that caused it. We follow Wendy as she struggles to understand what has happened to her, how to cope with living around people when merely touching them could kill, and whether or not the changes to her powers can be reversed. The story is filled with endearing characters and wonderful, tender moments that brought a smile to my face every time. The interactions between characters are engaging, natural, and believable - Wendy and Ezra in particular feel very realistic as siblings, both in their cheeky yet loving behaviour towards each other and in their dialogue. The vivid descriptions of the world, and of people’s emotions, thoughts and senses, immerse you fully, in part due to the excellent writing on Rachel’s part, and also owing to the beautiful delivery on the part of the two readers. The narration and voices for female characters are provided by the amazing Cherami Leigh. Cherami’s beautiful reading is powerfully delivered, full of passion and evocative of emotion. She breathes unique life into every character she voices, from Wendy herself, to the adorable teenager Kaylen, and to the mysterious Louise, among many others. She perfectly captures the struggles Wendy faces, and draws you into her enchanting world. Similar praise can be given for the male voices, read by the wonderful Todd Haberkorn. The chemistry between the characters, particularly between Wendy, Ezra, and Gabe, feels so organic and real, and the dialogue is delivered seamlessly and naturally. Both Cherami and Todd are able to give very distinct qualities to the voices of each of their characters, so it is easy enough to recognise one from another. The audio quality is great, very clear and clean on both the Amazon Echo Dot and an iPad (with or without headphones). 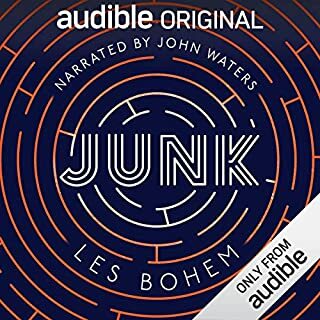 I would thoroughly recommend this audiobook to anybody. Fans of the sci-fi genre, or of romance, may enjoy it in particular. 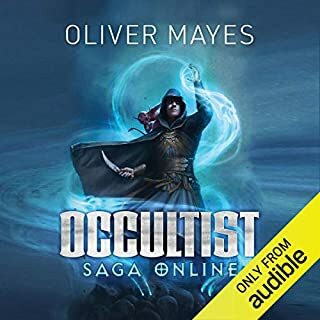 Fans of Cherami and Todd will be impressed by what I believe to be some of their best work ever (delivering such powerful, emotional and passionate dialogue believably without any visual aid at all, is a challenge many audiobook readers seem to struggle to overcome, but in this case it seems so natural). But I believe there is something in this wonderful story for all audiences. I encourage you to give it a try, and hope you enjoy listening to it as much as I have. There were a few times when the mic may have been a bit sensitive and a few T’s and S’s came through as high pitch squeals but overall a great performance. 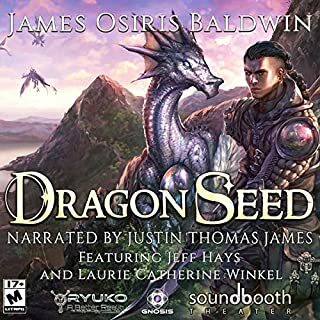 This story was wonderful, very entrancing from beginning to end, some of the romantic encounters could have been shortened or maybe have had less overall but I’m eager to hear part two of this fantastic series. Listened to it twice in two weeks! Todd and Cherami are familar voices to me, as I've seen many anime series that feature their voices, and I was informed of this book by Cherami Leigh herself when I met her at my local nerd-con in little ol' New Zealand. I bought it only because Todd and Cherami are two of my favourite voice actors but ended up loving the story itself as well, so much so that I've listened to the whole 13 hour audiobook twice in only two weeks (I have a lot of free time...) I really hope Todd and Cherami are working on the rest of the series! I really want to know the rest of the story but I don't think I could read the books myself now that I've heard it performed by Todd and Cherami - it just wouldn't be the same! 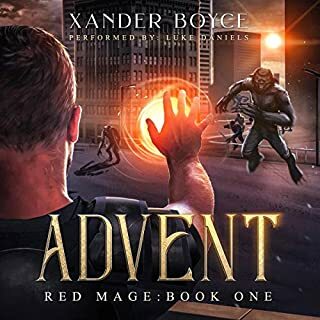 I would definitely recommend this book to anyone who enjoys urban fantasy. Idk if this book quite fits into that category but it does share many qualities with an urban fantasy story. Cherami and Todd bring the words in this story to life, more so than imagination is capable of. You can not only glimpse the colorworld, but in a way, you can feel it, and the emotions.